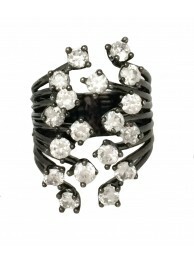 Made of semi-black-curves, finished off with dazzling crystals. Capturing the essence of boldness an.. 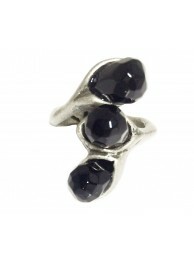 Embrace the combination of casualty & grace with this ring. 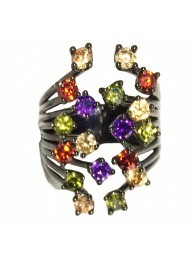 This semi-curves-piece, holds at its..
Made of semi-grey-curves, finished off with dazzling multicolor crystals. 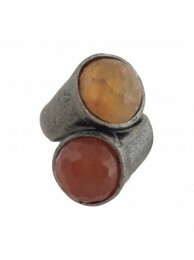 Capturing the essence of b..
Material: Embellishment: Agate Metal parts: Oxidized Rhodium Finish Measurement: 2.8c..
Made of semi-golden-curves, finished off with dazzling multicolor crystals. 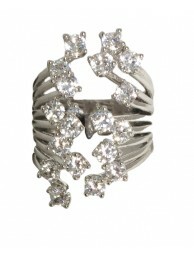 Capturing the essence of..
Made of semi-silver-curves, finished off with dazzling crystals. 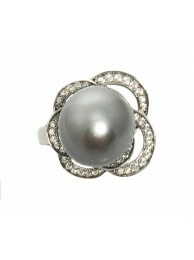 Capturing the essence of boldness a..
A flower, a crystal & a pearl, a woman's closest friends. 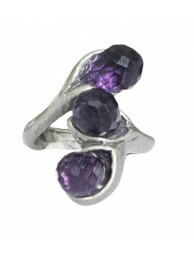 ESTA, offers you 3 in 1. 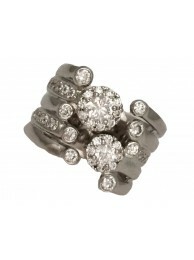 This ring, no.. 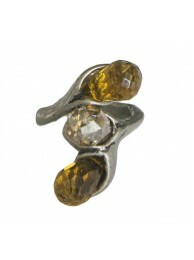 Looking for a final touch to adorn your outfit? 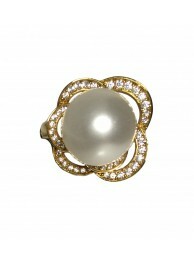 A hint of charm to embellish your hand? ESTA offers .. 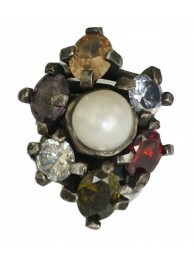 Indeed, if you've never had an edgy, off-beat jewel in your collection, you shouldn't call yourself .. 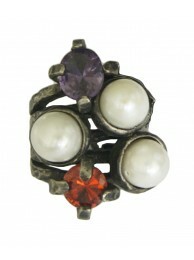 Inspired by the magical world, ESTA offers you this exotic ring, adorned with faux-pearls, red&..